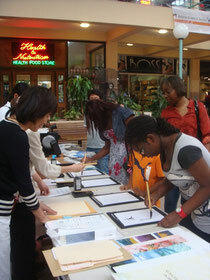 Annual event ‘Calendar exhibition’ was held by Embassy of Japan. There were mini concert, athletic demonstration, calligraphy, Origami, quizzes and much more. Participants got a new year’s calendar. Event was so fun as usual.